Social Media has changed the art of story telling and made it as easy as ever to keep those who love your brand connected and updated with the latest. Last week Instagram unveiled a new feature that takes those social stories to a deeper level. Swiping left and right isn't only for Tinder anymore. It may soon be a common occurance on Instagram, for sponsored post at least. They're calling them 'carousel ads' and it'll open up the door for a whole new level of engagement between brands and the people that love them. For larger brands (with extensive marketing budgets) this is an opportunity to grow and nurture that following. But for smaller brands, with a lot more to gain from social media efforts, this doesn't really mean that much. No worries though, as a smaller brand, you can still engage and nurture your following and have just as much success. 1. Is My Image Artsy and Indie Enough For the Instagram Crowd? When it comes to sharing images through social media, there are two things you always want to stay away from; horrible graphics and stock photos. Bad graphics speak for themselves, but stock photos have been pulling the wool over social media marketer's eyes for years but consumers are a little smarter. Especially the younger demographic that should be your target on Instagram. If you have to ask yourself if an image feels too "stocky", chances are you shouldn't post it. 2. Have I Included Enough Descriptive Hashtags? Unlike Twitter, where you should never use more than 2 hashtags max, Instagram has a different set of rules when it comes to these social conversation anchors. The right hashtags can considerably extend the reach of your posts but and some say to use as many relevant ones as possible. But be sure to stay away from these banned by IG. 3. Are My Stories Appealing To the Young Generation? There are two types of social media managers: those who know their audience and those who think they know their audience. Don't be the latter. A photoseries campaign around one of your most expensive, high end liquors may not be the best idea if you're targeting say, college students on a budget. Don't make the mistake of thinking that it's "only Instagram". What you post, how you post and when you post all matter. 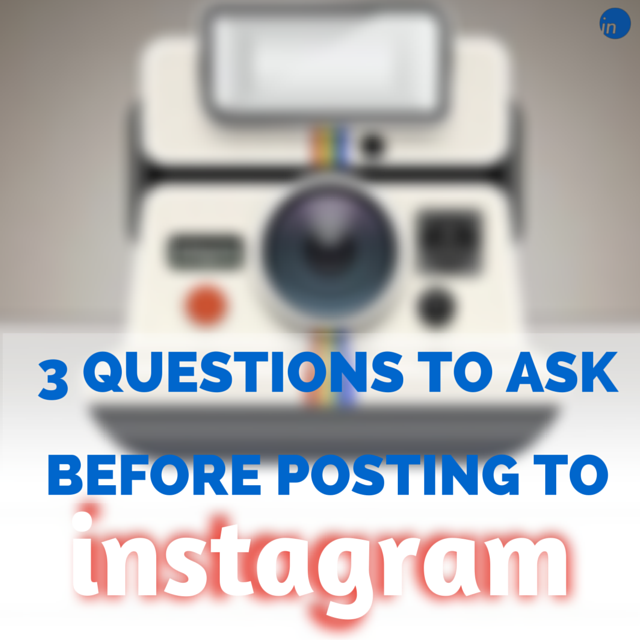 Keep these 3 questions in mind before posting and you'll see far better results than you would otherwise. Was this article helpful? Spread the love! You never know who else could benefit from this same information and how appreciative they may be to you for providing it.